If 2017 has seemed to you like a long and terrible year filled with bad news, then here's some good news to close things out: you were right! On a variety of fronts, the United States is falling farther and farther behind both other developed nations and its own lofty standards. The bottom line: Maybe President Trump was onto something when he decided that he needed to make America great again. From health care to education, the U.S. is starting to see notable declines in the areas that matter the most to regular citizens. America just registered its second straight year with a decline in life expectancy. That last happened more than a half-century ago. There is some good news: heart disease and cancer death rates are down. College costs continue to soar, jumping 6.1% from 2013 to 2016, but the median income for those with college degrees only rose 2.1% over that same period, per Bloomberg. As a college degree becomes a requirement for entering an increasingly competitive workforce, many young people are doing so with a pile of debt. Student debt hit $1.3 trillion this year, compared to just $243 billion back in 2003. First-time homebuyers accounted for 34% of all home purchases in 2017, which neared a historic low, per CNBC. Chalk that up to sky-high home prices and those massive piles of student debt, which the New York Fed said accounted for a noted drop in homebuyers amongst millennials this year. The Onion's continuously re-upped headline says it all: "'No Way To Prevent This,' Says Only Nation Where This Regularly Happens." And research from the period 2000-2014 shows that the United States has had more mass shootings and more people killed in those mass shootings than 10 other developed nations combined, per Politifact. The CDC reports that sales of opioids almost quadrupled from 1999 to 2010 without any change in the amount of pains reported by Americans. Now, 91 people in the United States die every day from an opioid overdose. Vox put things in terrifying context earlier this year: the U.S. has 4% of the world's population but 27% of its drug overdose deaths. While the United States has some of the world's best higher education, its elementary, middle, and high schools are positively average compared to other developed nations. Data from the Pew Research Center shows that U.S. STEM education is especially lacking. In 2015, only 38% of fourth-graders, 34% of eighth-graders and 22% of 12th-graders were rated proficient or better in science based on the government's National Assessment of Educational Progress. President Trump has promised a massive infrastructure package sometime early in 2018. That couldn't come soon enough, as the American Society of Civil Engineers gave the United States' infrastructure a D+ grade for 2017. The United States is still the only developed country on the planet — and just one of a handful overall — that doesn't guarantee paid maternity leave. We also don't guarantee paid vacation time — most countries in Western Europe guarantee weeks — and there's no guaranteed paid sick days. With alcohol cheaper today as a percentage of income than at any time since 1950, Americans are drinking a lot more, per Bloomberg. A follow-up study done by the National Institute on Alcohol Abuse and Alcoholism saw risky drinking behavior jump to 12.6% among American adults in 2012-2013 from 9.7% in 2001-2012. That increase amounts to about 7 million more Americans binge drinking each week. The rest of the world is noting the trends in this list. Tourism is down across the board — per The Telegraph, there are huge drop-offs in demand for British travelers to come to the United States. Tourist hubs like Las Vegas and Orlando saw double digit declines in U.K. visitors in 2017. But don't despair! 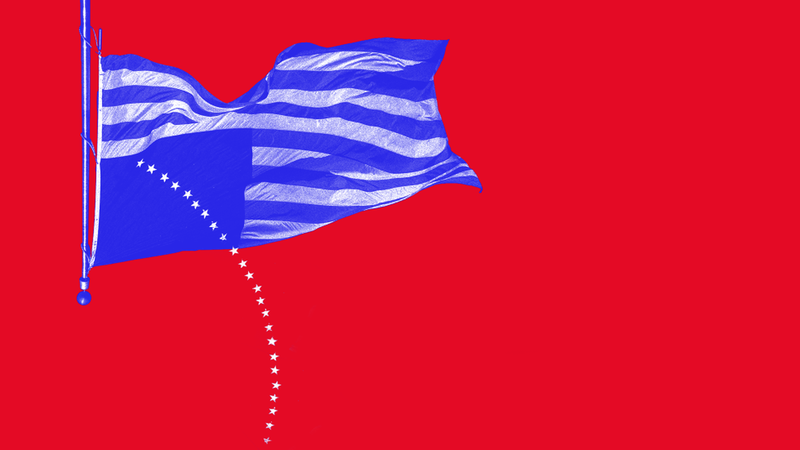 Here are 10 ways America is crushing it.